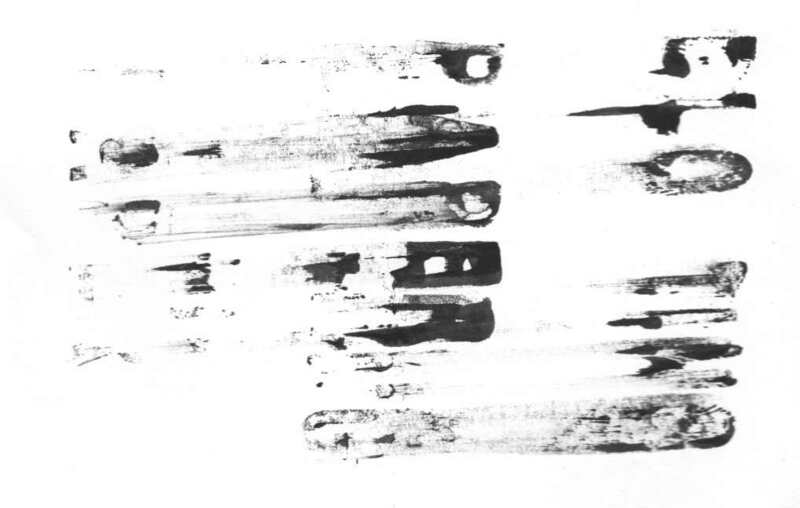 The above image is an impression of the reversed typographic design shown in Production Report No.1. As I am interested in experimental image-making I have moved the block during the printmaking to create some blur, used askew registration and mixed some of the fonts. The comic is based on memories I have of a career in education that involved teaching, research, design and consultation at an art college then a design school across the disciplines of film, video, animation and visual communication. 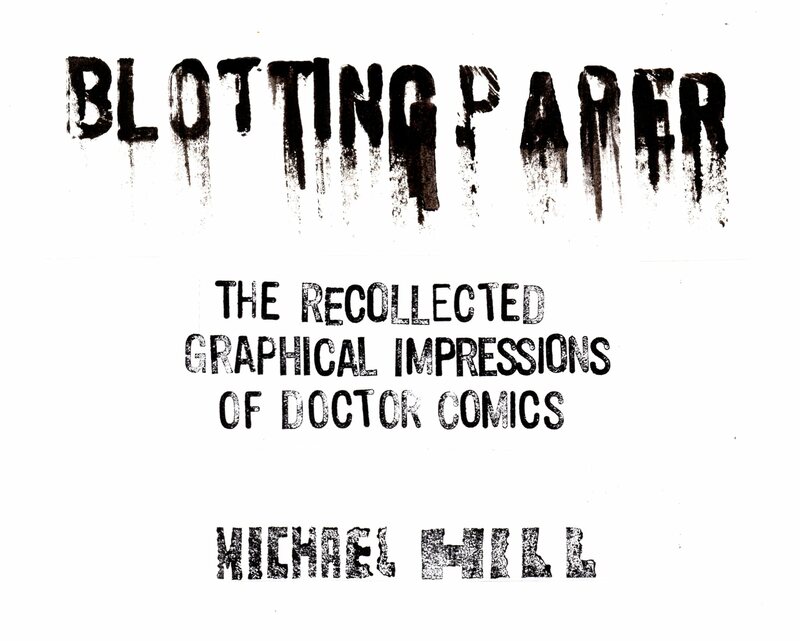 The subject of comics came up as a method of teaching storyboarding and as a medium in its own right. I also became involved in printmaking and that has become part of my artistic practice. It has not only been used to generate the title but also many pages. The ‘graphical impressions’ are drawings or prints of memories generated in ink from rubber, wood, lino and other surfaces (the title and subtitle from rubber, my name from lino). This page looks a bit too typographic so I think I shall probably consider adding an illustration. In addition to utilising printmaking as a method of image-making I am also doing some drawing with various tools ranging from traditional metal dip pens and pencils to felt-tipped pens and brushes and a selection of inks. This entry was posted in Art, Blotting Paper, Comics and tagged artist book, comics, drawing, experimentation, graphic impressions, image-making, making comics, pens, printmaking, visual communication by Doctor Comics. Bookmark the permalink. sweeet. this totally reminds me of stretching out text on the viscom photocopiers. good times! Good call! Some of the stuff I’m putting in this goes way back, whether images or techniques. I love playing around with photocopiers and what you guys used to do in viscom was most inspiring. So thanks for that. On a kitchen note though that may interest you, my name title was drawn on lino with a graphite pencil and popped into the microwave for a few seconds as I heard that this was a fast way to heat the lino and thus make it easy to carve. Unfortunately the graphite caught fire and burnt. It was quite dramatic with black smoke streaming out of the oven. So the letters you see there in my name were burnt rather than carved. It destroyed the microwave by the way so now I just sit on the lino for 10 minutes till it warms up that way-safer and so old school. That sounds a lot more sensible. I was always pushed for time and so went for the fast fix, this time with dangerous and dirty results. I had to clean black soot off the kitchen wall and ceiling. But I did end up with a creative nameplate. I should do a scan of that actual lino-cut sometime. 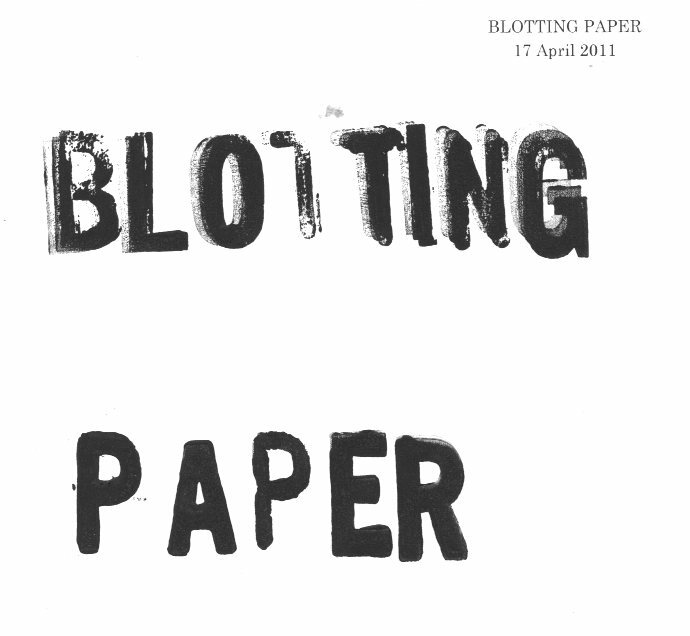 How about you, do you do any lino-cutting or text stretching on the photocopier these days? Wow you have been busy! I love the Sugar Shanty animation. You get good expression from the piece of toast in that. Yes, post Kinkos, the photocopy offerings are rather lean. The copy corner in the Officeworks near me is poorly maintained. There are six machines but usually only one is working and so there is the queue. Whatever happened to all those comics creators whose mothers worked in offices or departments where they could run off a few copies after hours? Anyway, I’m in the process of setting up a wet studio, for printmaking, and some of the image-making and having some success with it. I’m going backwards in time in terms of the technology, somewhere in the 17th Century I think, with work done by hand and using my body weight as a press. It’s pretty good fun though. Thanks for your comments-so good. Love your blog: http://www.ragingyoghurt.org/blog/ and hope you might consider doing a guest spot here sometime?